Moving to a new home is something that most people do at least once in their lifetime. 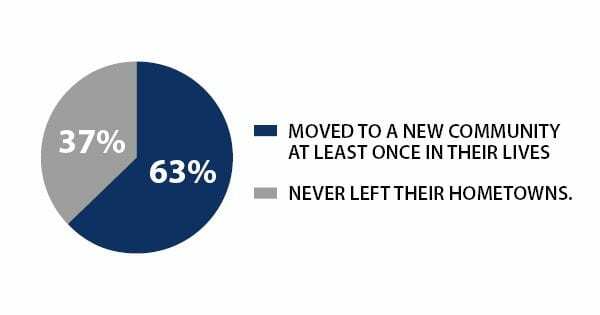 In fact, about 63% of people have moved to a new community during their lives, while only 37% have never left their hometowns. But moving can be particularly stressful on children, especially if they’re moving to a new town with a new school. So to help make moving day go smoother for your kids, here are a few simple tips to consider. Start packing as early as possible: Packing can take a lot longer than you think — especially when you have your hands full with kids. So give yourself as much time as possible to pack. Start packing up the items your family uses least, like off-season clothing and extra furniture and linens. As moving day gets closer, then you’ll have to start packing up the more essential items. Try to have your kids involved in packing as much as they can handle to not only help packing go a bit faster but also so they know all of their belongings are coming with them. Make them feel included: When you’re working with an experienced moving company, it can be easy to sit back and let the movers do the work. But when you have young kids, it’s important to try to find opportunities to make them feel included. However, it is important to keep them out of the way and let the movers do their job. So you should consider giving your kids special tasks throughout the day, like getting water for the furniture movers. These tasks should be safe but rewarding so they can still be part of the excitement of moving. Keep comfort items near: One of the most important things to remember when moving is to pack a “moving day” bag full of essential items. Anything you may need should be kept separate from the rest of your belongings so you can have quick access to them. And you should do the same thing for your children — pack a bag with their favorite stuffed animal, some books or games, and snacks so they can stay busy and keep relaxed while your experienced moving company takes care of loading and unloading your boxes. Moving doesn’t have to be a scary experience for your kids. Keeping these tips in mind and helping them feel as relaxed and excited as possible will make relocating as easy as possible.